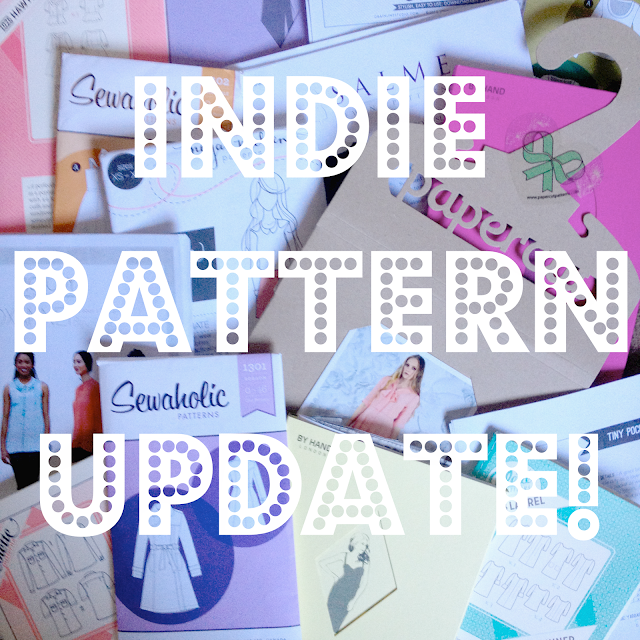 Diary of a Chain Stitcher : August Indie Pattern Update! 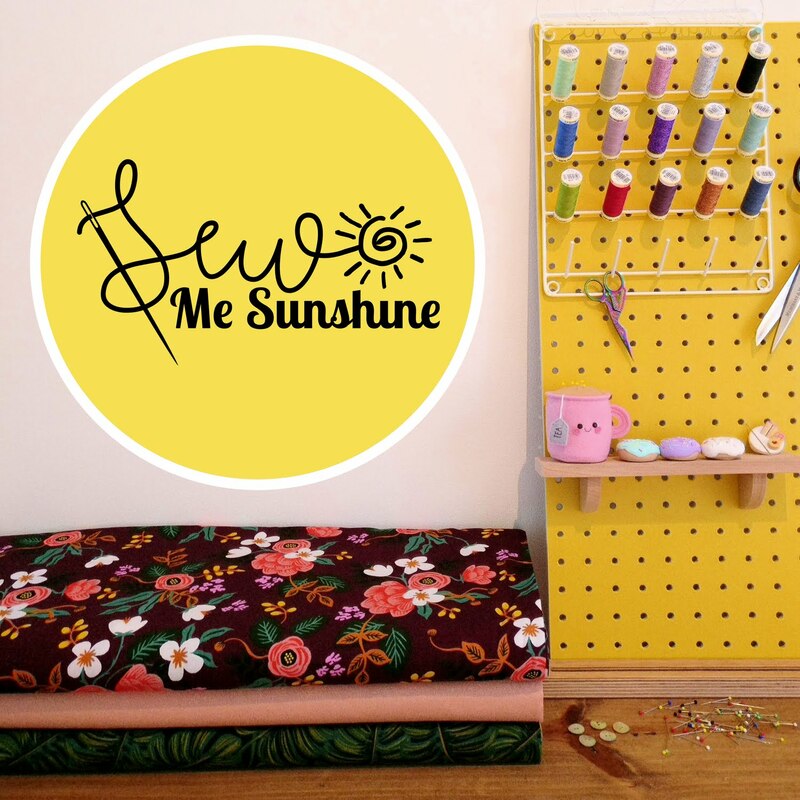 August was another incredibly busy month in the indie sewing community! As well as endless beautiful new releases there have been some great sew-alongs running and lots to look forward to as well. I'm not quite ready to let go of summer here in the UK yet and partly because I feel like I barely made a dent in my summer sewing plans! I guess its about time I started sewing for the colder weather and put those projects on hold until next year but its difficult as I always feel much more inspired to sew for sunshine! I do love planning projects though so hopefully a sit down with my pattern and fabric stash will get me motivated. Just putting together this update has made me feel more creative and optimistic about the changing season. Not new this month but new fairly recently and definitely worth drawing your attention to are patterns from Elbe Textiles. Lauren has launched with a gorgeous wearable collection of PDF patterns for both men and women including a number of free downloads! I can see myself using a lot of the mens patterns actually and love the little backpack too. Athina Kakou released her very first solo pattern this month. The Sheona Dress & Top is a shift style designed for knit fabrics with five variations including various sizes of hem and sleeve ruffles. I've been spotting some gorgeous tester versions popping up in my Instagram feed. Pearson and Pope launched with a collection of classic and versatile pieces perfect for a working wardrobe. The collection includes three blouses, a dress and two skirts; my personal favourite is the Catherine Blouse which has a beautifully cut collar and removable neck tie which can we worn in a number of ways. The two new patterns with Seamwork Magazine this month were the Adria Top and Christina Skirt which look great together in a minimalist scan-chic two piece kind of fashion! The member bonus this month for the fitted pencil skirt includes side and rear welt pockets and a traditional vent. Named released Anni to celebrate their fifth anniversary. I am totally in love with this 'building block' pattern which provides you with a variety of blocks you can mix match to create up to 36 different garments! The bodice pattern has three necklines and four sleeves (including sleeveless) and it comes with a skirt, trousers or shorts. My favourite of the three samples is that amazing blue jumpsuit with keyhole neckline. New on Free Sewing is the Sandy Circle Skirt. As with all the patterns from Joost this comes with a fantastic range of options to make the design your own and also achieve your ideal fit. Plus its free to download! New from Style Arc is the Como Outfit which consists of three patterns that can be bought in a bundle at a discounted price. The Como Cardigan is long-line and features an all-in-one dropped shoulder, the Knit Top is an appealing minimalist modern design with v-neck and slight grown on sleeves and the Knit Pant has wide legs, an elasticated waist and the option to make full length of cropped. They also released the trio of Sutton styles which include a woven top, cami and skirt all with feature buttons. I think my favourite is the top. One of the freebies for the month was also new. Perry is a sleeveless swing top with asymmetrical hemline. Amongst the new free downloadable patterns released by Mood Fabrics this month were the Ulmus Dress, Ursinia Dress, Vanda Dress, Willow Cardigan, Xryis Dress and Victoria Tee which features a fun pleated back to make use of their range of pre-pleated fabrics. They also released the Woodsia Shorts for men, a classic cargo style. Opian released the Pilatus Swimsuit. I'm more of a two piece girl but if I make a one piece its going to be this one! I love the cut outs and bow front combined with high waist. By Hand London released the Eloise Dress - a mix and match pattern with on trend ruffles and statement sleeves. I can definitely see myself making multiple variations of this one and wearing them to death, someone point me in the direction of some beautiful viscose prints! I turns out I wasn't very on the ball last month with the update and the next few are patterns released in July but which I wanted to make sure you got to see! First up the Magnuson Vest by Straight Stitch Designs; a fashionable twist on a military vest with large patch pockets, button placket and stand collar and a drawstring waist. Muse Patterns released the Manuka Dress & Top last month too which has a breezy fit, dropped shoulder and the option to use a flutter or long voluminous sleeve. Also launched in July was the new Breeze Shirt from Twig and Tale. A pullover top with mandarin collar and the option for long sleeves with optional tabs or short flounce sleeves. There is also a men's version available. DG Patterns released the Ursula, Renata and Adele Tops & Dresses in August. Renata is a woven style with slight cocoon shape and gathered detail along the sleeve. Adele is a simple summer style with drawstring waist and optional shoulder ties. Ursula is a knit design with keyhole neckline and cold shoulder. Orange Lingerie released the Lansdowne Bra pattern which is a cleavage enhancing plunge design with a two piece seamed cut and underwires. Every time Norma releases a pattern I say that this is going to be the one to start me sewing lingerie but I still haven't got my act and all the supplies together! Sew Over It released their Carrie Trousers pattern (previously only available as part of the trousers e-course) as a PDF! A relaxed style perfect for those new to sewing trousers these are a loose fitting tapered style with an elasticated back waist. New from Tessuti is the Soho Coat. With a classic cut this features a turn back collar, slightly dropped shoulders and side pockets. I love their suggestion of making this up in a heavy linen. Wardrobe By Me released a new pattern for Mens Chino Pants. These have a slim and modern fit and include all the classic design details such as welt pockets, belt loops, fly front and slanted front pockets. Very tempted by these for some un-selfish sewing. The Relaxed Raglan Short Sleeve Knit Top and Easy Construct Maxi Knit Skirt are both new from Hourglass Patterns. 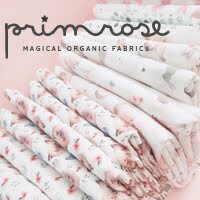 This pattern company are new to me and I'm intrigued to find out more. The patterns are drafted to accommodate a larger bust and more muscular bicep and shoulder. Laela Jeyne Patterns released the Emily T-Shirt which is a versatile tee pattern with numerous variations to play with. It can be made up as a mini dress, classic tee or with a peplum and includes two shapes of neckline and three sleeve styles. Sew House Seven launched the Montavilla Muumuu in PDF format. Perfect for the heat much of the northern hemisphere has been experiencing over the last few months this is a long dress with hem vents, a ruffle at the armhole cleverly created by gathering the shoulder dart and large deep pockets. The also released a free downloadable pattern for a cross body Micropurse last month. I might make myself a few of these in fun prints as they'd be really useful on set at work! Kommatia Patterns released Piper, a nineties inspired tube top, and Rommy, a quick to sew, loose fitting pair of trousers with a tapered leg. Ideal to add to the wardrobe as we move towards cooler weather. I'm loving their new illustrations and they've also been working hard to improve their sizing and add features like layers to their PDFs. New from Pin-Up Girls Patterns at Bra-Makers Supply is the Sapphire Partial Band Bra. This is an underwired, foam bra which is cut to give a rounded push up effect. I can't even imagine making lingerie so structured yet bet I'm hoping to work up to it! Wearable Studio released the Canary Cami, a simple yet clever design with small grown on fluted sleeves and princess seams for a flattering fit. New from Itch to Stitch is the Dana Point Top. I love the clever flattering shape of this design with pleats at the waist creating flare over the hips and the combination of v neck and slightly exposed shoulder is subtle yet gorgeous. Both Carmen Bouchard of French Sewing Bee fame and Maire Poisson have released pattern books with publisher Editions la Plage this month. Le Manteau de Carmen is a classic tailored coat with notched collar and Le Body de Marie is a bodysuit with two variations including a cute wrap style with sleeves. Both are currently available in French only from both the publisher and via Amazon. The Maker's Atelier released the latest pattern in their design studio line, working in collaboration with students at Brighton University. The Madeline Robertson Jumpsuit and Dress is a dramatic yet elegant design with butterfly sleeves and a drawstring waist. 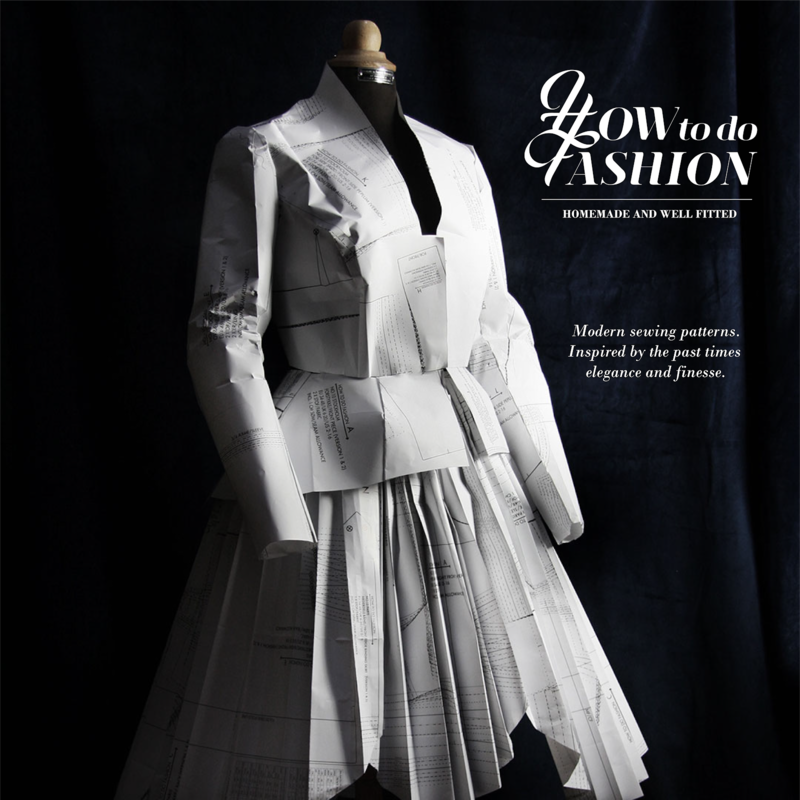 They also released the second edition of the Maker's Atelier Magazine - 48 pages of inspiration for your autumn sewing! The pattern included with this issue is a simple but versatile pleated skirt inspired by Frida Kahlo. New from Designer Stitch is the Gemma Twist Tops pattern. The pattern comes with pieces for both a top with a feature twist back and front. Designed for jersey knits I think this would look great made up in directional prints to emphasise the twist. 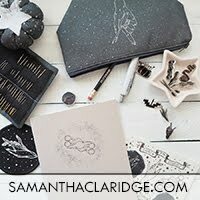 Create Space Adelaide released a new pattern in the form of How To Sew Leather. The pattern is for a simple zip clutch and the instructions take leather newbies through all the steps including lots of tips for sewing leather on a domestic machine. I'm definitely going to be trying this one as leather is one of the fabrics I haven't quite mastered yet. 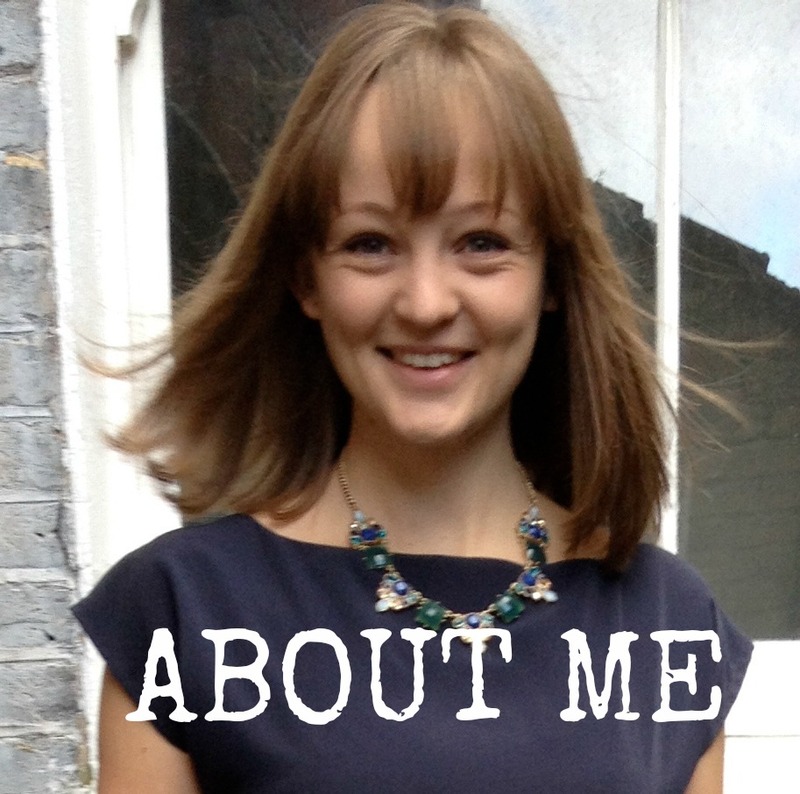 I'm really excited about the new My Capsule Wardrobe: Work to Weekend ebook from Sew Over It! I'm a big fan of the patterns from their first ebook and these look just as good. Wearable, well-drafted, timeless styles. It contains five patterns, with twelve variations between them. I like the boat neck of Edie, the split skirt of Kate but my favourite is either the Camille Jumpsuit or classy Anna Coat. Maven Patterns released the Barcelona Dress in PDF format; a classic fit a flare style that looks great made up in stripes. My favourite feature of this is that elegant boat neck with dart tucks that can be sewn with a v-neck or high neck at the back. 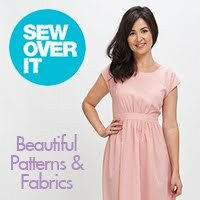 Emily from In The Folds has designed a new free pattern download for Peppermint Magazine. The Button Up Dress is a great wardrobe staple with a nineties vibe. I wish the summer would stick around here longer so I could make it up in lovely linens. Love Notions just released the Duet Pants which are a classic trouser with a straight or tapered leg and mid rise that can be made in wovens or stable knits. 5 out of 4 Patterns released the Virginia Tank & Maxi which is a knit design with a whole heap of interesting features. You can make it up as a separate tank and skirt with yoga waistband in two lengths or as a dress. The tank has an optional built in bra and pattern pieces for a fuller bust as well as a maternity option! There's also a girls version of the pattern. The new So Classic Sundress from Patterns for Pirates is a beauty for those of your heading into warmer months. It features a classic fitted bodice with shirred back and sweetheart neckline, a button up front and various skirt lengths. There are some truly gorgeous tester versions on the product page. Hot Patterns released the HP 1237 Plain & Simple Favourite Shirt, Tunic & Shirtdress. An elevated basic with revere collar and lots of classic shirt details I think this would be a gorgeous and somewhat challenging sew in billowy lightweight silks. Cashmerette released the Lenox Shirtdress Expansion Pack. This add on to their best selling pattern provides a full bicep version of the short sleeve, a new long sleeve in standard and full bicep sizes and a sleeveless bodice in their range of cup sizes. Wardrobe By Me have given their Piper Boho Tunic a makeover and as well as extending the size range have added on loads more design options giving you a huge 27 variations to choose from. New features include a kaftan length, new sleeves styles and necklines. The Thread Theory Eastwood Pajamas sew-along is complete. A great sew-along for beginners looking to push themselves with some new skills by adding in the optional slightly more complex details to the pattern. The Tania Culottes are one of my favourite Megan Nielsen patterns and to accompany the updated version of the pattern (which includes new sizing, additional versions and pockets) she's been running a sew-along. Also just wrapping up is the By Hand London sew-along for their recently released Eloise Dress, including lots of useful and transferable fitting tips. The Tailoress posted a video tutorial for their Jersey French Knickers and Bella Dog Pyjamas PDF patterns. 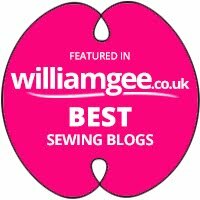 Great if you're new to sewing your own underwear and getting to grips with sewing stretch, elastic and small pieces. Colette have two new patterns coming out next month. 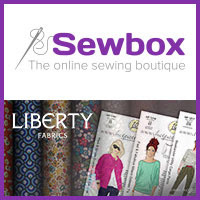 I am clueless as to what they will be but if you are a Seamwork Magazine member you'll be able to buy them with just one credit as you now can any pattern in the Colette line. 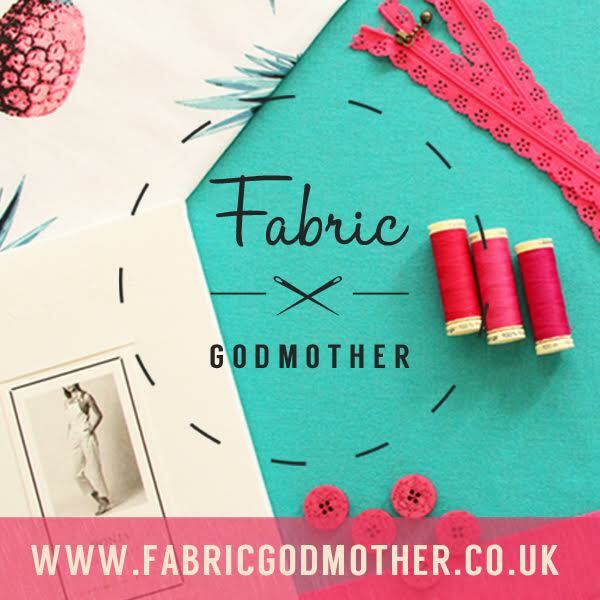 There's a new pattern company coming soon! The kick-starter campaign for Selkie Patterns will be launching next month and you can follow along with the progress of the patterns on their YouTube channel. The Avid Seamstress has a new pattern coming soon. All I have been able to gather from Instagram sneak peaks is that it features button closures and promise to be a year round wardrobe staple. Pipe Dream Patterns are working on the Brooke Cami Dress. 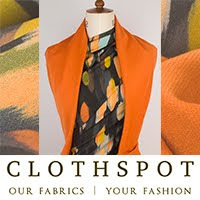 I'm loving the detail in the close up of the hem pictured on their website hem page at the moment. Sarah Kirsten is set to release the Clematis Tote which is a clean and simple bag with no lining or pockets, constructed with french seams for a clean and strong finish. Louis Antoinette have a selection of new patterns coming out in September. Jennifer Lauren Handmade will soon be releasing the Quincy Dress, the sister pattern to the Mayberry Dress. Each pattern piece is interchangeable between the two designs, giving you a design freedom. Thread Theory put out a call for testers for their next pattern and have specifically asked for people with experience sewing trousers. I'm looking forward to this one! I AM Patterns have collaborated with French magazine Modes & Travaux to release sx new designs. For those of us in the UK English versions of the pattern will be released on their site on 21st October. Ensemble Patterns are testing the Parasol Jumpsuit which looks really cute! Wide legs and a sleeveless wrap bodice. Rosie drew this Yorkshire Dales image, had it printed onto fabric and turned it into a Claudia Dress. AMAZING. I absolutely love Jade's striped Celeste bikini. A great fabric choice and beautifully sewn. Swim Style patterns are a new discovery for me thanks to Jade and the cut of this one in particular is gorgeous. Marie made my favourite Kew Dress yet. Her fabric choice is beautiful and the fit is amazing! I love a little black dress at any time of year and Kelli's black linen Ariana Dress is perfect for summer. I think this will look great layered in winter too. Emanuelle's testve rsion of the new Sheona Dress is a stunner. A classic little black dress and I absolutely love her choice to do the little hem and cuff ruffles in a chiffon. What a gorgeous detail. Well, I found two new plus-friendly patterns companies (Laela-Jeyne and Twig & Tale) and I bought one pattern! Thanks for the enabling! Excellent news! It is so good to see the inclusivity across pattern brands nowadays, there really is something for every taste, age, shape and size! Thanks Fiona! So many new pattern companies. I'm a bit taken aback by requests for sponsorship by totally unknown designers .... I supported Gertie, but only cos I knew and liked her work... the Celeste bikini top pic has inspired me to try to fix mine🙄. I just made my first two piece using Vernazza and two other tops as wearable muslins before using my prized Liberty Beach pieces, and I used my bust measurements for the Celeste. When I did a first try the straps were so long both front and back I abandoned it and moved to the other two. Both worked easily luckily! Yes I can't say I'm inclined to support an initiative without knowing their product first but I understand how challenging it can be to get a business off to a start initially! When you try the Celesste, it has great instructions for a nice clean finish, but do try the body on with the straps beforehand - if I had done all that slippery sewing and found the straps too long I would have sworn like - well, like me:). Oh - tip I picked up which really helped with sewing swimwear fabrics - stick glue. Not fabric stick glue, it never works - washable uhu or whatever. Oodles of pins and my walking foot didn't help, but the stick did. Great thought Francesca I'll be sure to try on as I go. Ooo yes I do know that company and love them! Such unique fashion forward designs. I'm actually working on a dress of theirs at the moment!